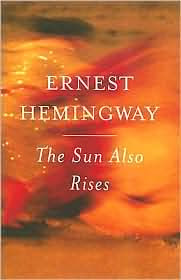 A Literary Odyssey: Classics Circuit: The Sun Also Rises by Ernest Hemingway. The Dickens Major Works Project. Classics Circuit: The Sun Also Rises by Ernest Hemingway. “You can’t get away from yourself by moving from one place to another" (19). Welcome to my post for the Classics Circuit tour of the "Lost Generation" era of American literature. I was really excited that this era of literature won in the vote, since I love this era of U.S. History. The period of U.S. History from the beginning of WWI to the end of WWII has defined the country we are today. What better way to explore that than through the eyes of writers? For those of you unfamiliar with the "Lost Generation" writers, they are a group who worked closely together in the 1920s and focused on many contemporary issues in the American way of life. If you have read The Great Gatsby, then you are familiar with the era. Given that there were so many choices by these wonderful authors, I had a hard time choosing. I was stuck between F. Scott Fitzgerald and Ernest Hemingway. I have had limited experience with both, so you might understand why I had a hard time deciding! I ended up going with a Hemingway novel. It spoke to me off my shelf. The Sun Also Rises, published in 1926, really starts this idea and concept of the "lost generation" of Americans. That term, in reference to history, identifies the young generation of Americans who came home from the war. for many, it had been a nightmare-vicious and violent. Many felt that it hadn't been our war to fight (since before WWI, the U.S. was rather isolationist. We didn't really involve ourselves in world affairs). When these men and women came home, they were lost. How DO you come back to living a normal life after seeing so much death? For many of them, they struggled to find a purpose and place back in America. Things were different, freer, and these young people had to adjust to that new feeling. Many struggled, but many more triumphed. It was a period in U.S. history (the twenties) where things appeared to be good. People were happy. We were at peace. We were not dominated by thoughts of violence and oppression. So I was curious to see how Hemingway's novel captured this attitude and feel. I love the history of the 20s, so I couldn't wait to see his view. The novel focuses on a group of Americans living abroad. Some are writers, others are just lost. Our narrator is Jake Barnes, a veteran of the first world war. In sparse prose, we are included in this collection of lost souls as they try to figure out where to go next. There are love affairs, fights, and pain, but the overall theme of this novel comes back to that idea of being lost. Where do you go after you have faced death? What do you do when you have been through war? I can't answer those questions. I haven't been there, I haven't faced those things. While members of my generation are fighting a war, it is not as widespread, as panic stricken, or as devastating as WWI was. I have never had to come home with the knowledge that I killed a man, or saw death on battlefields or in hospitals. Those are feelings that many people in the twenties felt, and I can see all of those things in Hemingway's novel. He is not a flowery writer, preferring to get across his message in short, declarative sentences, but he doesn't need to beef things up to get across the sparse, bare feeling of being lost. He does that well by being straight forward. I love that kind of writing. 'What the hell, Robert,' I said. 'What the hell" (19). I'm sure we all feel that way sometimes, but that feeling of desperation and loneliness was such an ingrained part of their lives. "She was sitting up now. My arm was around her and she was leaning back against me, and we were quite calm. She was looking into my eyes with that way she had of looking that made you wonder whether she really saw out of her own eyes. They would look on and on after every one else's eyes in the world would have stopped looking. She looked as though there were nothing on earth she would not look at like that, and really she was afraid of so many things," (34). Beautiful, isn't it? While I can certainly appreciate flowery description, sometimes all I really want is something to that point. Hemingway is good that way. The Sun Also Rises is a beautiful novel-one that defines both a generation of writers and the hopeful nature of young Americans after the Great War. It captures a period and feeling of American history unlike any other and would be an excellent place to start for anyone interested in the time period. If you are interested in signing up for future Classic Circuit posts, or to track other posts in the Lost Generation Tour, please visit the Classics Circuit Blog. It is a wonderful opportunity to promote the reading of classics, meet other bloggers, or dust off a classic that has been on your shelf for years (we all have them-don't be ashamed!). 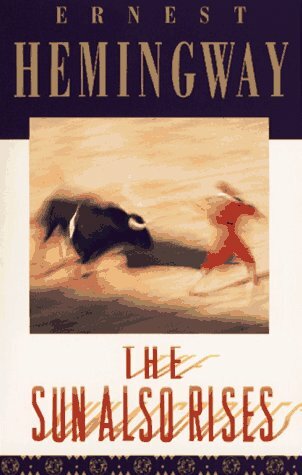 I admit, I'm scared to read this one - I love Hemingway's later work but wasn't impressed with the one early one I've read, so I've avoided this one. You make it sound very good though! Maybe I should try it. I loved this one! It's so atmospheric, and the writing really reflects what's going on in the story. I love Hemingway generally but really didn't like this one, I'm afraid. Thank you for your insightful review. I'm visiting your blog from the Classics Circuit blog tour where I also reviewed a Hemingway novel. It was interesting to compare your opinions about a Hemingway novel. I really enjoy seeing what quotes people grab onto when doing their reviews. I have a few that spoke to me, though on the whole, I must admit that this was one of my least favourite Hemingway novels. This is definitely on my must read list. I had sworn off Hemingway after suffering through Old Man and the Sea in HS. But I am now willing to give him another go. I love The Sun Also Rises. I read it at university and loved the idea that gender roles are quite blurred in it. Currently reading The Old Man and the Sea... which I'm loving slightly less! I have only read The Old Man and the Sea and, now, two short stories. I am not especially familiar with the Lost Generation and it was a bit of a challenge to do my review. Hemingway's shoart stories reminded me of Beckett's plays, except that Beckett wrote after the 2nd World War. You can find this economy of language and obsession with nothingness in both writers' works I find. I must admit that I did not really like this one lots. I completely agree with everything you say though, isn't that interesting? The writing is great, the hopelessness perfectly captured. I just didn't like reading about drunks all the time. Very depressing and "pointless" to me, which again, I know is the point. That was their life. A 30 year-old teacher who reads and loves the classics. Weekly Wrap-up for March 27, 2011. Weekly Wrap-up for March 20, 2011. Weekly Wrap-up for March 13, 2011. Weekly Wrap-up: What a Horrible Week. What I Read: The February 2011 Edition.